Imagination for Kids - Equip your child with an inquiring and imagining mind and they will have a rich and fulfilling life. We all see and know things for what they are, when they are, where they are and why they are. But if we go beyond that and ask the question "Why Not?" and "What if?" it will ignite and fire up our Imagination. The child learns that there is no future without imagination. 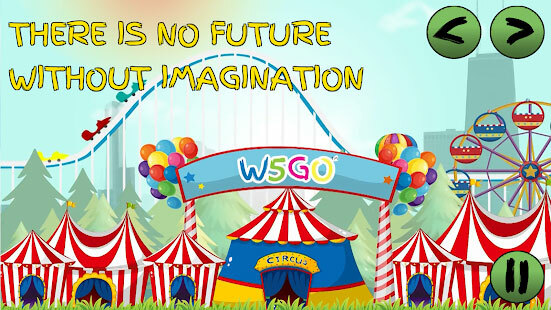 The Imagination App by W5Go™ attempts to inspire the child with historic inventions, discovery and creations as they relate to the present-day facility for transportation, communication including the Internet and social media.